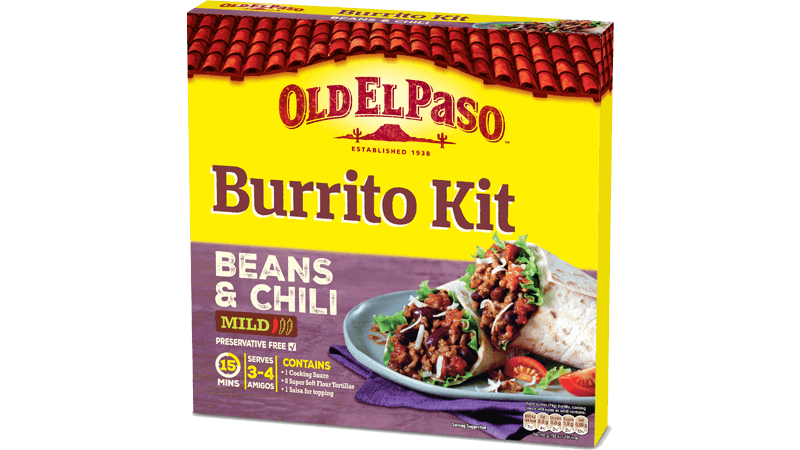 Lightly spiced sweet potato and hearty chilli vegetables, all wrapped up with cheese and chunky salsa in a toasty vegetarian burrito. Heat up the oil in a large pan and throw in the onion and sweet potato, cook for 2-3 minutes. Stirring occasionally. Mix in the courgette and fresh pepper. Cook for another 2-3 minutes, and then add the rich Tomato Bean Stir-in Sauce with 225 ml of warm water. Cover up the pan and cook over a medium heat for 10 minutes, giving it a stir every now and then. Toss in the kidney beans, then cover and simmer for another 5 minutes, until the vegetables are tender. Warm the Soft Flour Tortillas following the instructions on the pack. Lay it all out for the whole family to stuck into. 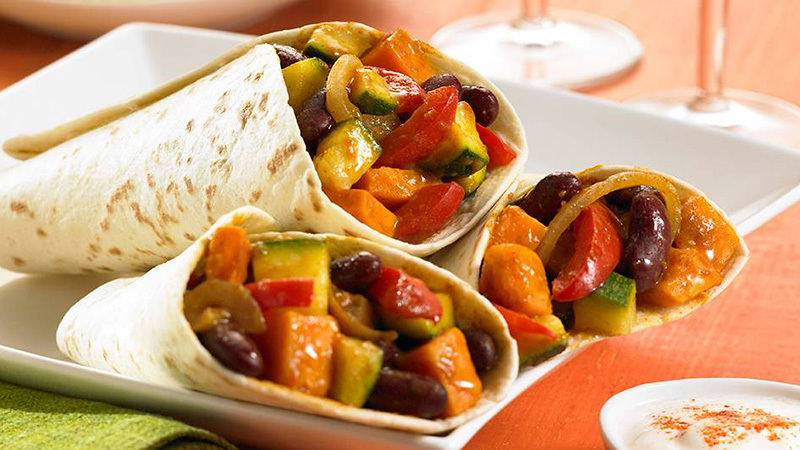 Grab a tortilla, spoon in some of the sweet potato and bean mix, and top it off with cheese and Thick 'n' Chunky Salsa. Roll it up and wolf it down.